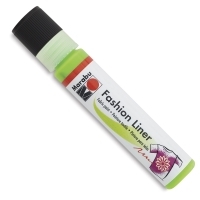 Marabu Fashion Liner is a creamy fabric paint great for adding highlights, lettering, and embellishments to your designs. 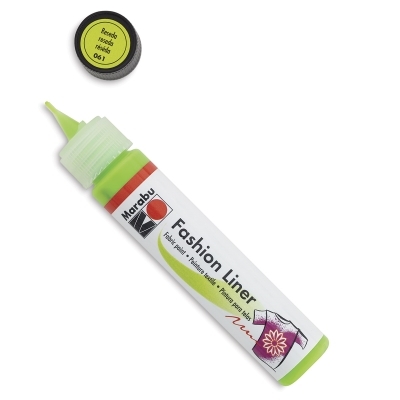 The tube's skinny tip allows for beautiful lines. Available in vivid, matte colors and shimmering shades, it's a waterbased, lightfast, and odorless fabric paint. ® Marabu is a registered trademark.